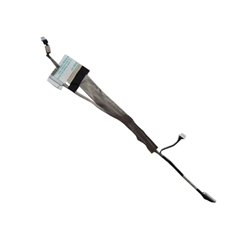 Description: New genuine Acer laptop lcd cable. This is for a laptop that has a webcam. Part #'s: 50.N2802.005, DC020000Y00, KAWF0, WKA30. Acer Aspire 5232, 5241, 5332, 5516, 5517, 5532, 5541, 5541G, 5732, 5732Z, 5732ZG, 7315, 7715, 7715Z. eMachines E430, E525, E625, E627, E630, E725, G525, G627.